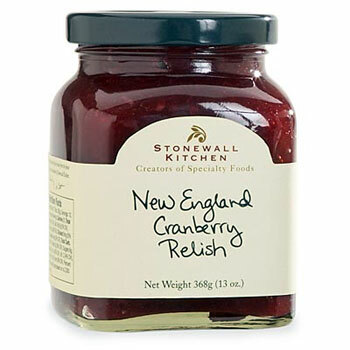 Stonewall Kitchen New England Cranberry Relish - tart cranberries blended with the zesty flavor of orange. Stonewall Kitchen New England Cranberry Relish is a perfect as an accompaniment for poultry & is a terrific spread on turkey sandwiches. Stonewall Kitchen New England Cranberry Relish.